Express Office Furniture is a manufacturer of quality commercial office furniture which is stocked in their distribution centers and warehouses located in Kansas City Missouri and Dallas Texas. Previously known as Don Smith and Associates, Inc or DSA Office Furniture, Express Office Furniture has several lines of office furniture ranging from luxury to affordable case goods that will allow you to quickly and easily furnish office spaces big and small. The furniture manufactured by Express Office Furniture is covered by a manufacturer’s warranty that will provide you with confidence that you have purchased a high quality product that will last for many years to come. Their laminate desks, office chairs and guest seating are manufactured with the highest quality possible while still being affordable on the consumer end. Products produced by Express Office Furniture can be compared to high end manufacturing companies but are supplied at prices lower and more affordable than their competitors. 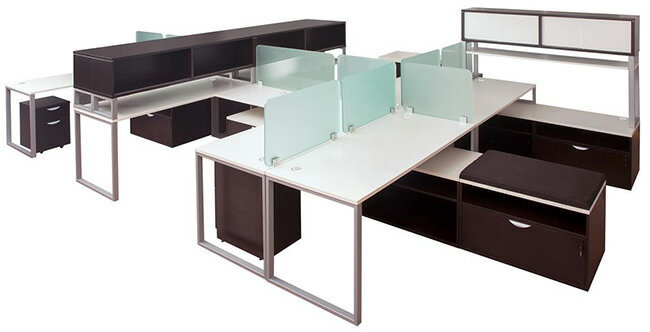 Express Office Furniture produces several lines of desks including Lair, Chassis, Status and Express Laminate. If you like the look of any of these desk lines just give us a call and let us know the dimensions of your space and we can get you setup with the perfect desk set for in your office! 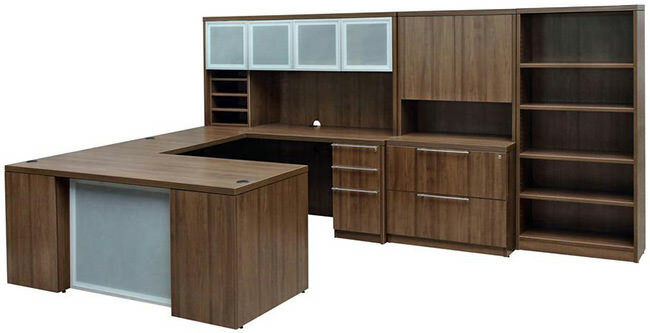 Express Office Furniture makes the following finishes (Cherry, Dark Walnut, Mahogany, Modern Walnut, Tiger Stripe, White, Gray Speckle) available. Most series desks are available with only certain color finishes so check each line closely for the finishes available with that series. This is a high end modern open collaboration desk line that offers a contemporary look at affordable prices. These can be completely customized to meet the needs of your space. 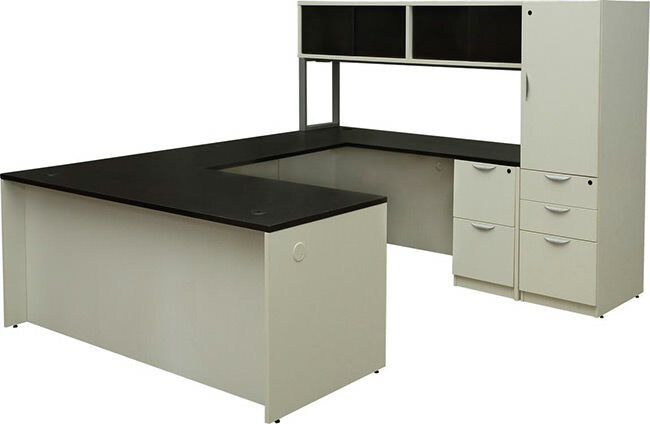 The Chassis Series offers two-tone workstation options with White bases and accent tops in Dark Walnut (close to black), Modern Walnut, Tiger Stripe and White. The Status Series desk offers a 1.5” thick top and modern stainless steel rod drawer pulls that give a look of luxury and elegance in upper management offices and law firms. These create a great impression on customers and clients! Available in Dark Walnut and Modern Walnut. The Express Laminate desk is our top seller and most installed desk for local customers in the Madison Wisconsin area. These desk not only boast affordability but also provide the customer with high end laminate materials that are guaranteed to last for years to come. Highly customizable and affordable! These can be configured as straight desks, L shape desks and U shape desks and are available in Dark Walnut, Modern Walnut and Cherry. 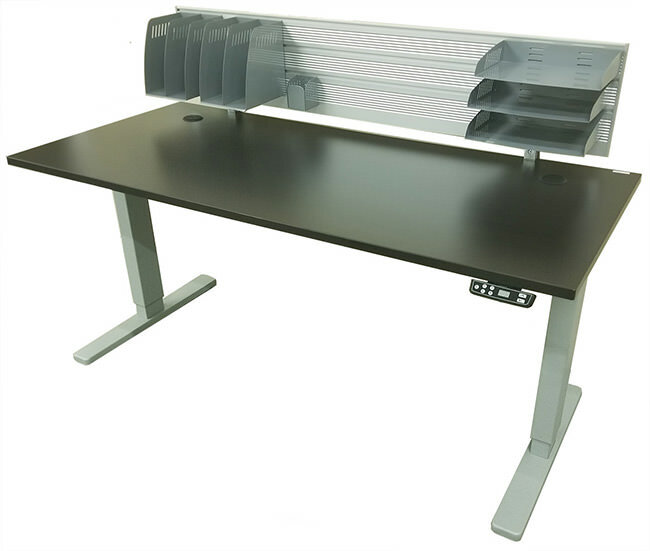 These desks can be custom ordered as standalone units or purchased with any Express Laminate or Lair Series workstation and included as a seamless modular desk that can help to improve productivity and comfort throughout the course of a workstation. These high quality sit to stand workstations include 4 programmable height presets for you to use whenever you want to change from sitting to standing. The pictured workstation includes a DT Slat Wall paper-flow organizer. Express Office Furniture also produces lines of high quality office chairs, guest chairs, reception seating, conference tables, training tables and more. 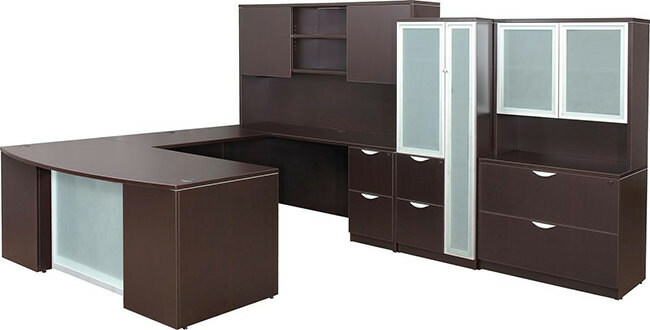 To view their entire line of office furniture visit ExpressOfficeFurniture.com. Any items you see there that you like can be ordered directly from us by calling (608) 831-1012 or by checking our directly on our website.